The Office of Disability Employment Policy (ODEP) within the U.S. Department of Labor (DOL) uses research, policy analysis, and the development and distribution of knowledge transfer products to address employment challenges facing people with disabilities. ODEP provides national leadership on disability employment policy by developing and encouraging the use of evidence‐based disability employment policies and practices, building collaborative partnerships, and delivering authoritative and credible data regarding employment of people with disabilities. Corporate and worksite wellness programs can be described as employer-sponsored services designed to promote or maintain the good health of employees. Like all people, people with disabilities can benefit from programs that increase routine health and wellness examinations and screenings and support improvements in lifestyle, including physical fitness and mental health. This book focuses on the extent to which corporate and worksite wellness programs have been or can be adapted to meet the needs of individuals with disabilities in particular. 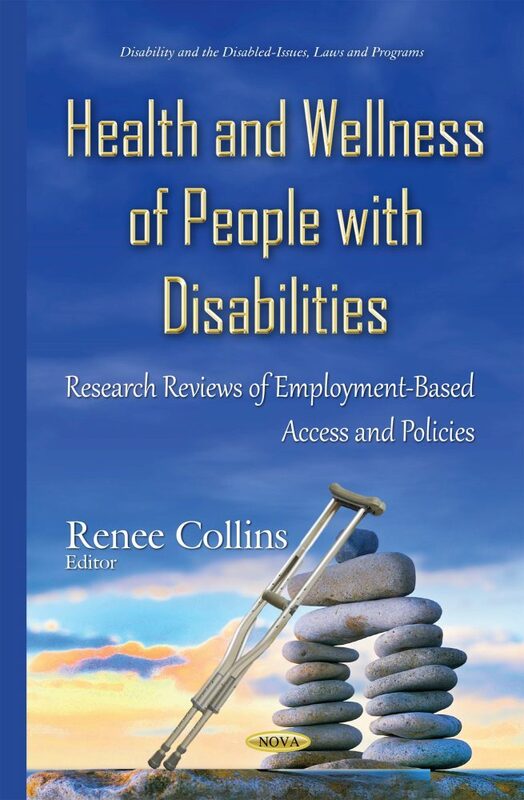 The book also aims to formulate recommendations that assist ODEP in developing guidelines for future disability employment and health care research.